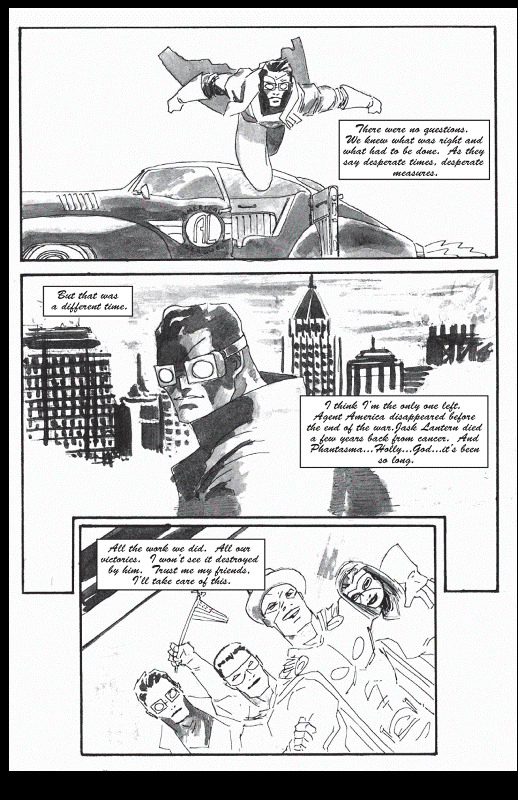 This is the second page of the flashback sequence. Jason did the two pages in an inkwash to separate the styles from the other pages. Here we are introduced to a tidbit of the original Venger's past as well as some other costumed heroes. Please visit The Venger website where you can read about other Venger news, see more artwork and also order the complete first issue of The Venger: Dead Man Rising.